Dr. George Parkman lived as a member of Boston's Brahmin elite. Having inherited substantial wealth, he donated the land for the Harvard Medical School which was where Massachusetts General Hospital on Storrow Drive stands today. 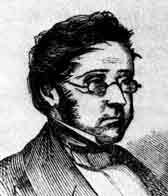 He also made a loan to John Webster, a fellow society member and professor at the medical college. Webster pledged all his property to Parkman as collateral. When Dr. Parkman learned the professor had used his mineral collection as collateral for other loans, he was furious and hounded him for repayment. On the evening of November 23rd, 1849, Dr. Parkman disappeared and was not seen again. Over the next week Boston Police searched for Parkman and followed several false leads. Rewards were offered. Unlike Dr. Parkman who had inherited substantial wealth from which he lived, Professor Webster lived from pay check to pay check. Keeping up appearances was critical in Boston's Brahmin culture, and with two debutante daughters he could no longer make ends meet. The police would eventually question Webster, but were inclined to believe that respected members of society wouldn't kill each other over money. The case was unexpectedly cracked by a Harvard janitor. Ephram Littlefield lived adjacent to Webster's lab and had heard them argue. When the normally stingy Webster gave him money to buy his family a Thanksgiving turkey, Littlefield began to suspect Webster had something to hide. As Webster's turkey cooked, Littlefield went next door and searched through Webster's laboratory. So certain was he of Webster's guilt, that he broke down a brick wall in Webster's medical school office to discover hidden bones and a pair of dentures. Littlefield collected a substantial reward for his efforts. Webster was tried before the Supreme Judicial Court of Massachusetts and was prosecuted by its Attorney General. The trial lasted twelve days; and returned a guilty verdict, based entirely on circumstantial evidence. The jury agreed that Webster, a chemist and MD, had killed Parkman in the Harvard Medical and used its facilities to dismember and hide the body. Though the bones couldn't be tied back to Parkman, the dentures fitted to his distinctive forward jaw were. Webster made a late confession in an failed attempt to avoid hanging. Yet, how could janitor Littlefield have been so certain of Webster's culpability? Testimony would show that he first charged Webster with the murder five days before the body was found, before even Parkman's family believed him to be dead. As Littlefield lived within feet of the bones, the circumstantial evidence implicated him as much as Webster. And though Webster owed Parkman a debt, Littlefield had been caught and disciplined for gambling in Parkman's quarters, and profited directly from his conviction. Perhaps the only bright spot in this story is that the feelings of animosity between Webster and Parkman apparently not extend to their families. Parkman's widow, remarkably, would later raise funds to help support Webster's wife and children. David Wieneke is a contributing writer to iBoston, as well as its Publisher.